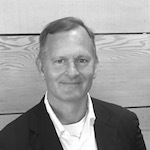 James F. Blom has a twenty-seven year track record of driving high impact corporate development, strategic product roadmaps and sales for technology companies in sectors including Automotive, aerospace, shipping, supply chain, transportation and critical infrastructure across the United States, Northern Europe, Asia, and India. The culmination of Mr. Blom’s expertise has resulted in over $4.7 Billion in new software, services and hardware revenues and $2.9 Billion in M&A, primarily from concentrating on creating new data centric services and data platforms. The largest one being S2 Global, which went from $0 in revenue to over $750M in 4 years, and the most powerful one growing from $1M to $145M in revenue for NATO, the European Union and the United States of America. For retail shippers, global transportation companies, e-commerce companies, industrial manufacturing firms, financial and credit institutions looking to arbitrage global trade and receivables, hedge contracts, facilitate cash management, score consumers and suppliers and their networks, as well as creating new reinsurance and insurance offerings due to the integration of industrial geospatial data, consumer data and supply chain data. Mr. Blom’s leads BootstrapLabs’ Operational Support Services (OSS) that assist portfolio companies accelerate their ramp-up from $0 to $100M in sales through corporate partnership agreements. Additionally Mr. Blom has been advising some of the world’s leading company and private equity firms including Softbank Robotics, The Carlyle Group, Kountable, Raytheon, Qualcomm, Tibco Software, and Ever AI.